Adam is the founder of the Millennial Mindset, which helps businesses understand and adapt to the mindset of a Modern Workforce. He is also the founder and MD of an internal change consultancy called gravitee, that applies the insights from the Millennial Mindset to help businesses adopt new ways of working and create a great place people not only want to work, but want to stay. Adam’s career path was heavily influenced by the Marketing Academy and has led to him doing a TEDx talk titled ” Rethinking Work for the Modern World” and featuring live on BBC1 talking about the Changing World of Work. Adam started his career in PR at Volkswagen before moving to the Marketing team at Jaguar Land Rover, where he spent 4 years in a variety of roles at both a national and global level, including being the Head of Dealer Marketing for Jaguar and managing the product placement for the James Bond film, SKYFALL. He then spent time as a Business Director at a Marketing agency, a Marketing Director at 2 technology startups and also a digital transformation consultant, before taking the bold step to go out on his own and pursue his passion of changing the way businesses run to reflect the way the world is and not the way the world was. 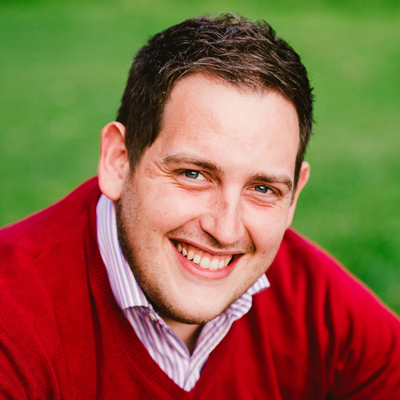 Adam is the founder of the Millennial Mindset ( www.millennialmindset.co.uk), which exists to bridge the gap between modern employees and the current workplace. His vision is to change corporate culture so that it embraces a Millennial Mindset. He is also one of the founding members and Head of Digital Services at Seen&Read, a specialist content marketing agency based in London. Adam is a proven and skilled marketing leader with a wide range of experiences from global blue chip companies to start-ups. He has a keen interest in all things digital and enjoys understanding how the application of new technology in the workplace is driving major change in how we all do business from a cultural, economic, process and societal perspective. His broad career path and insatiable appetite for learning and development has given him a unique range of experiences and skills that has enabled him to become an invaluable asset in advising top-tier companies on how to adapt to the digital world. He regularly writes articles for a number of organisations around the areas of digital, content marketing and modern leadership, along with building an increasing following of his own content and has appeared as a keynote speaker at a number of global events and conferences. Previously Adam has worked in a variety of roles including being a new business director in a top London creative agency, a marketing director at a technology startup, and a number of client side roles at Volkswagen and Jaguar Land Rover. One of his career highlights included the placement and promotion of vehicles in the most successful Bond movie to date, SKYFALL. Adam is an active member in a number of charity and non-for-profit organisations in his spare time, including being a mentor at both the Prince’s Trust and Google’s squared programme.